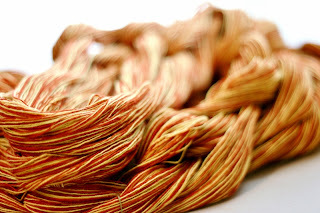 I stumbled across Amanda's Weaving blog fairly recently, and have been fascinated watching her latest project come together. It started here, where she outlines what she wants to do, progresses here, where she threads, then moves on to here, where she starts the weaving, to here, which features some beautiful progress photographs, to here, where it has come off the loom, and on to here, where it has started to be assembled in to the finished articles, and then here, where the first one is assembled with a cute little mane, to here, where there are three of the little fellas. Truly a weaving inspiration. 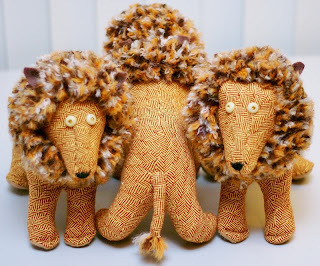 I love that these cute little fellas are made from fabric which Amanda has made herself, to her own specification. Too much sewing involved to make it on to my to make list, but delightful none the less.